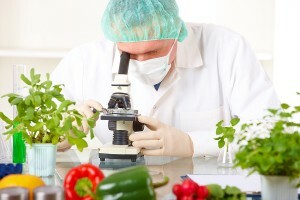 Food safety is top a priority at Produce Services of Los Angeles. We maintain strict control over all aspects of our produce distribution operation; from supply chain management to the temperature of the produce delivered to your restaurant. 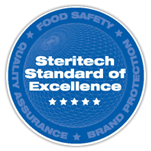 Our Facility is HACCP compliant and our food safety program is maintained through a partnership with Steri-Tech, a leader in the food safety industry. PSLA delivers the freshest produce available to our customers throughout Southern California daily! HACCP Defined:Hazard analysis and critical control points, or HACCP, is a systematic preventive approach to food safety that addresses physical, chemical, and biological hazards as a means of prevention rather than finished product inspection. HACCP is used in the food industry to identify potential food safety hazards, so that key actions can be taken to reduce or eliminate the risk of the hazards being realized. The system is used at all stages of food production and preparation processes including packaging, distribution, etc. The use of HACCP is currently voluntary for produce distributors.HACCP itself was conceived in the 1960s when the US National Aeronautics and Space Administration (NASA) asked Pillsbury to design and manufacture the first foods for space flights. Since then, HACCP has been recognized internationally as a logical tool for adapting traditional inspection methods to a modern, science-based, food safety system. In 1994, the organization of International HACCP Alliance was established initially for the US meat and poultry industries to assist them with implementing HACCP and now its membership has been spread over other professional/industrial areas.Hence, HACCP has been increasingly applied to industries other than food, such as cosmetics and pharmaceuticals. This method, which in effect seeks to plan out unsafe practices, differs from traditional “produce and test” quality control methods which are less successful and inappropriate for highly perishable foods.